Give the best first impression by promoting your products/services in our directory that lists all the exhibitors. As the directory sponsor you will have a whole page in our half-sheet directory for you to let the attendees know your products before entering the show and looking for other exhibitors information. Your full color company logo will be printed on ALL of the attendee badges. Your company name will be highly visible to all attendees throughout both days of the show. All eyes will be on your company as attendees register for the show.  Your company will receive extensive pre-show and onsite exposure as the official sponsor of the California Trucking Show online registration site. Bags with your corporate logo or message will be the ONLY bags distributed in the Registration lobby and at the show entrances during the days of the show. Your company will furnish the bags and we will execute the initial bag placement and replenish supply as needed throughout the duration of the show. Prior to the show access attendees will grab your sponsored bags, this way, they'll advertise your company's products/services for you as they walk the show floor. * Sponsorship cost is for distribution rights only and does not include the cost of the bags. Your company has the exclusive sponsorship of being the only lanyards distributed in the Registration lobby. The attendees will appreciate your courtesy in helping to keep their clothing pin-free. Lanyards will be distributed in the Registration lobby for the attendees to pick up as they get their badges and enter the show. * Your company supplies the lanyards. This is a GREAT traffic driver! Your logo will appear at he bottom of each of the thirteen (100 - 1300) 4ft x 8ft aisle banners throughout the show. Be the first to make a lasting impression! The VIP Lobby booth exhibitor will have the unique opportunity to welcome and connect with attendees and other exhibitors one-on-one before they enter the trade show. Your logo will appear as a sponsor on posters and social media ads advertising the truck exhibition plus on the number signs placed on each truck participating in the exhibition. You will also have the chance to talk 3 minutes in front of the audience during the award ceremony. You may pay up to half of the sponsorship premium in product/services.